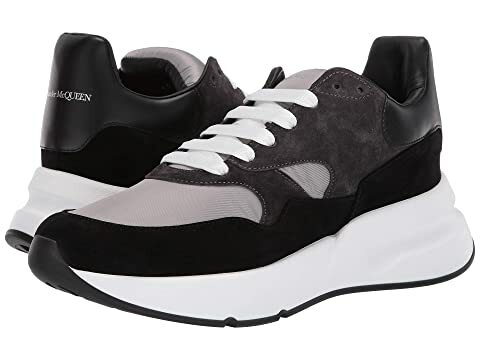 Sweep the scene in flawless style in this chic Alexander McQueen® Oversized Bicolor Runner Sneakers. Genuine leather and soft suede upper. Chunky and durable rubber bi-color outsole. We can't currently find any similar items for the Oversized Bicolor Runner by Alexander McQueen. Sorry!